Encompass and SAI Global have today announced a deal granting SAI Global exclusive, perpetual rights for the visual information management solution Encompass in Australia. The agreement, which was announced at SAI Global’s Annual General Meeting in Sydney today, was described as a strategic win for the ASX listed company. 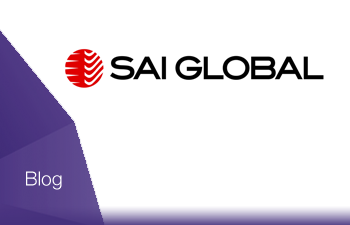 SAI Global will gain a significant competitive advantage by securing these rights. The transaction is timely for Encompass as its plans to launch in the UK will be accelerated by the additional revenue generated through the agreement with SAI Global. Encompass has had a significant impact in its short time in the market and altered the way people perceive and use commercial information from regulatory sources like ASIC, land title offices and the PPS register. This disruption has not gone unnoticed by the biggest market players, who have scrambled to produce copy-cat visualisation products yet failed to deliver. SAI Global Executive Chairman Andrew Dutton shared similar sentiments in making the announcement at the AGM today; “This agreement brings the unique and innovative Encompass service together with SAI Global’s existing extensive data assets and business scale, to give our information services division a distinct market advantage which will be difficult for others to replicate” he said. Customers who have already experienced the benefits of this powerful alliance can ultimately expect an even more comprehensive end to end solution as Encompass is bundled together with SAI Global’s existing suite of information products and services in Australia. The deal also enables Encompass to continue to focus on innovating their global SaaS platform, which will ultimately mean a better end user experience for customers in Australia and overseas. “We’re very excited about this agreement which delivers customer and shareholder value to both organisations. For Encompass it is a rewarding milestone which demonstrates the impact we have had on the Australian commercial information market and enables us to progress our plans for global expansion from a strong position” said Mr Johnson.